NEWARK – Attorney General Christopher S. Porrino and the Division of Consumer Affairs today warned the public about the grave risks involved in using the potent prescription painkiller “Subsys” for anything other than its approved use to treat breakthrough pain in cancer patients already on round-the-clock opioid painkillers. Prescribing Subsys for anything other than its approved use, a practice known as “off-label” prescribing, carries an increased risk of misuse, abuse, addiction, overdose, and death. The medicine is not for use in opioid non-tolerant patients because life threatening respiratory depression and death could occur at any dose in patients not taking chronic opioids. Last week, as part of an Attorney General initiative to determine whether doctors have been prescribing Subsys according to United States Food and Drug Administration Guidelines, investigators with the Enforcement Bureau within the Division of Consumer Affairs inspected patient records at six doctors’ offices statewide, and subpoenaed patient records from 10 others. Inspections and investigations of off-label prescribing of Subsys will continue as part of this initiative. Subsys is the brand name of one of six transmucosal immediate release fentanyl (“TIRF”) medications that instantly deliver the drug through the oral membranes. 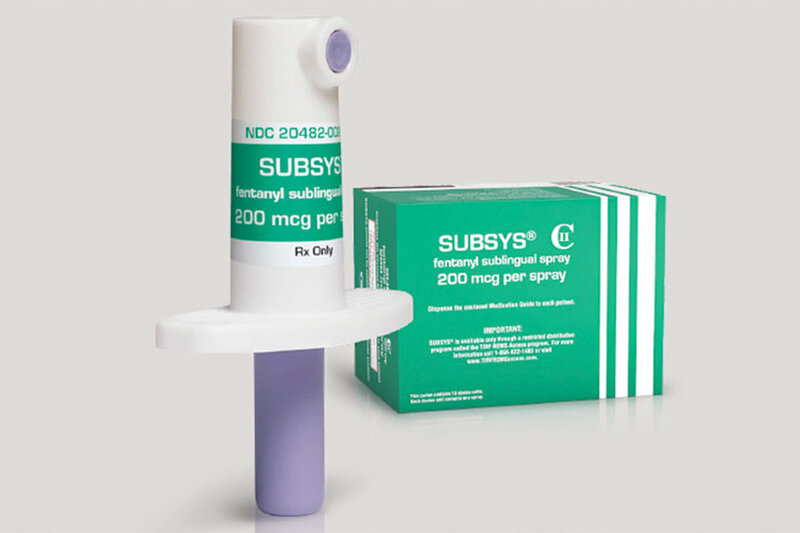 Subsys is a spray version of fentanyl, which is typically administered under the user’s tongue. Fentanyl generally is a powerful synthetic opioid painkiller that is similar to morphine, but is 50 to 100 times more potent. Recently, fentanyl has increased in popularity as a recreational drug, diverted from its legal use as a Schedule II pain medication, and is often either used by itself or in connection with heroin. Fentanyl, in both diverted and illegal analog forms, now results in thousands of overdose deaths every year nationally. Because the medicine carries a high risk for misuse, abuse, addiction, overdose, and serious complications due to medication error, the FDA has created a separate prescription protocol to monitor them. The TIRF REMS (Risk Evaluation and Mitigation Strategy) Access Program requires prescribers to undergo training about the drug’s risks, pass a test, and register in a national database. The Attorney General’s Office and the Division of Consumer Affairs have undertaken a series of initiatives to combat heroin and opiate abuse in New Jersey, including the creation and upgrading of the New Jersey Prescription Monitoring Program database, which collects prescription data on Controlled Dangerous Substances (CDS) and Human Growth Hormone (HGH) dispensed in New Jersey, and Project Medicine Drop, which enables New Jerseyans to dispose of their unwanted medications, 24 hours a day, 7 days a week.